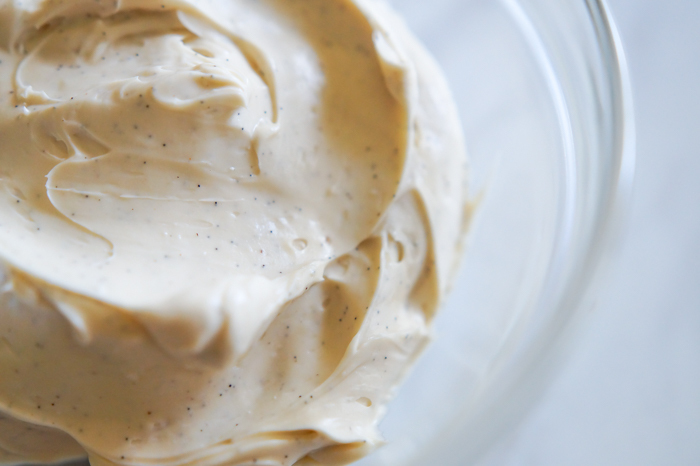 You need this recipe for vanilla bean cream cheese. Some call it a schmear; I just call it deliciousness to spread on a bagel. I guess schmear is shorter. Anyhoo...you're going to need it because THIS is happening later this week. 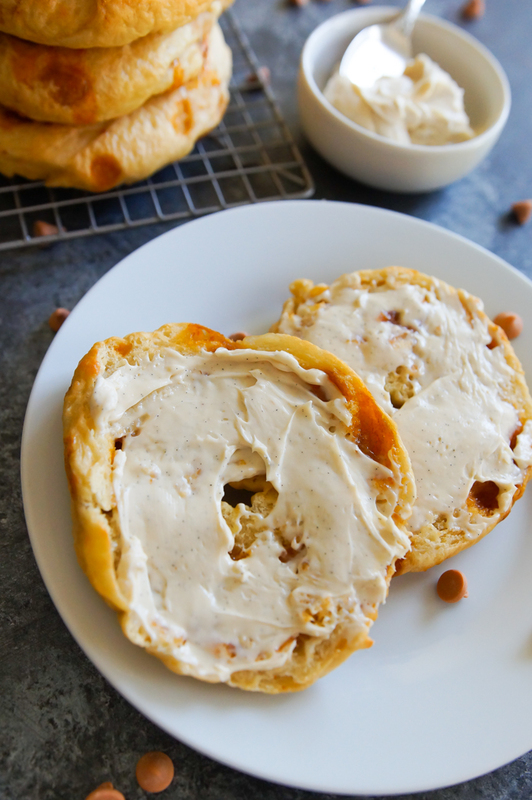 Butterscotch bagels. Making the vanilla bean cream cheese is super easy. Start with cream cheese (just go ahead and use the regular, although the lower-fat will work, too). 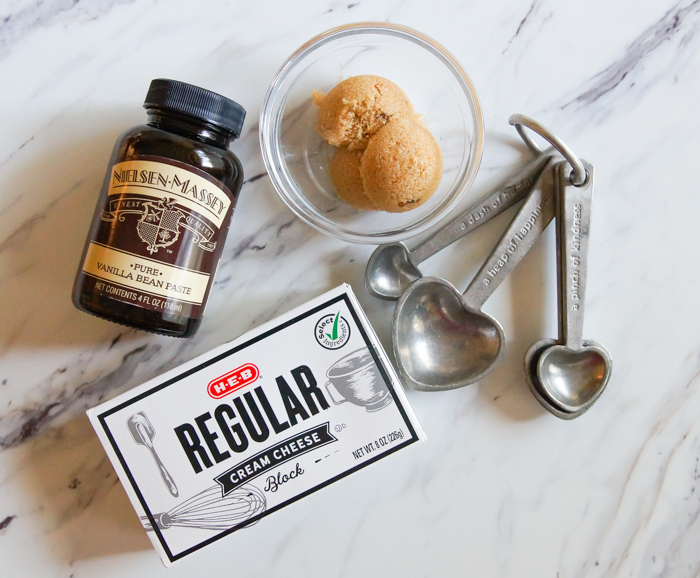 You'll also need brown sugar and vanilla bean paste. 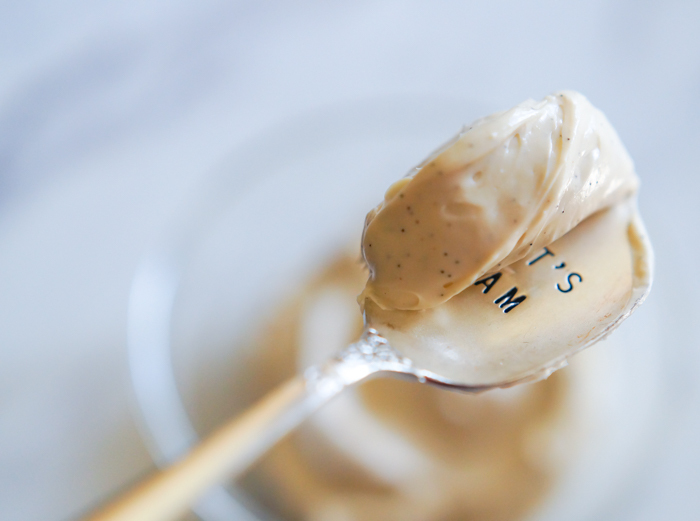 Vanilla bean paste will give you those charming flecks of vanilla bean, but you can make it with regular vanilla extract. Then it becomes "vanilla cream cheese" not "vanilla BEAN cream cheese" and doesn't sound as fancy. Still delicious, though. You can make it now and use it on plain bagels from the store, or toast, or English muffins, until the butterscotch bagel recipe is posted. Beat the cream cheese until light and fluffy. Add the brown sugar and vanilla bean paste. Beat until smooth. Store in the refrigerator for up to 5 days. Are you ready for some bagels??? Wow i love this ice cream thanks for sharing !!! Sweet cheese is not only delicious to enjoy but also very suitable to give friends and relatives in this summer. They will be surprised!